Air cooled, four stroke, 45° V-Twin, OHV, 2 valves per cylinder. With a gap between the smaller XL models and the larger FLBs, Harley announced the all new FX series for 1971. By joining the frame of the FL with the suspension of the XL, Harley hoped that the latest entry would appeal to a wider audience. The unusual boat tail rear fender that was first seen on the 1970 Sportsters was also installed on the FX. While the styling was certainly different. 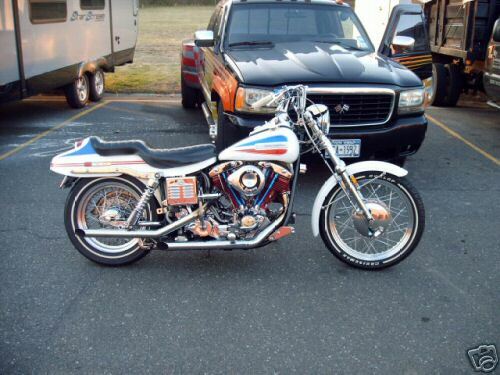 1971 Harley Davidson Super Glide Replica But the notion of a lean, muscular cruiser caught on in a big way. 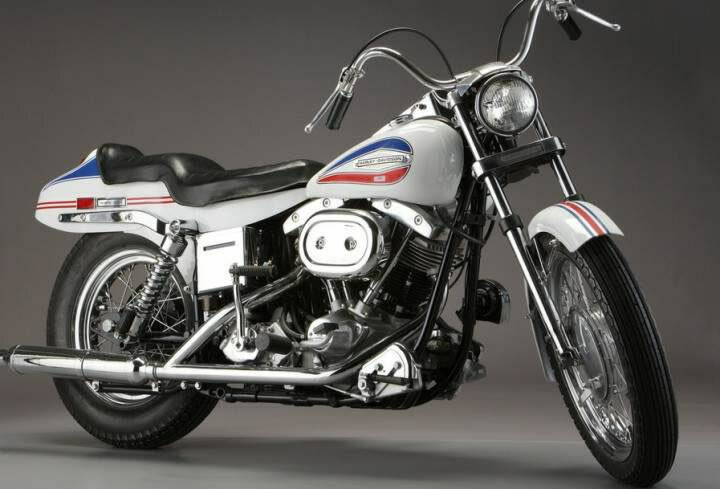 Once the tail section disappeared for ’72, the Super Glide developed a following, spawning the FX line of Harleys that has continued for more than 30 years, through the Low Rider, the Wide Glide, the Sturgis, the Softail and the Deuce. 1972 Harley-Davidson FX SuperGlide 972 Harley-Davidson FX SuperGlide Boat tail Midnight Express. Numbers matching. All original with many upgrades and extras. It has the rare and desired Sparkling America (Red, White & Blue) paint job. 74 C.I./1200cc. Kick & electric start. 4 spd. trans. Low miles on stock rebuild. 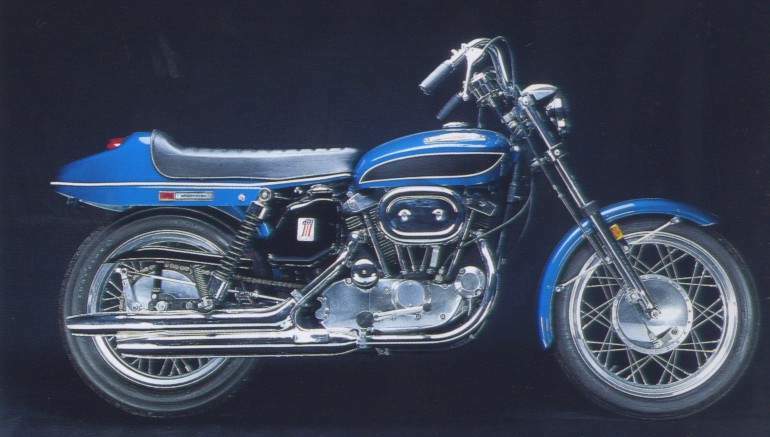 The 1972 SuperGlide's were the only bikes ever made and named the Midnight Express by H-D and the last of the all made in Milwaukee bikes. 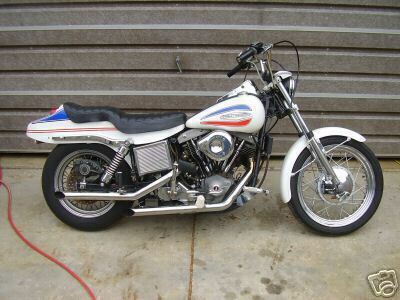 The 1972 SuperGlide Sparkling America Boat tail's were also, called and known as the "Evel Knievel" bikes. 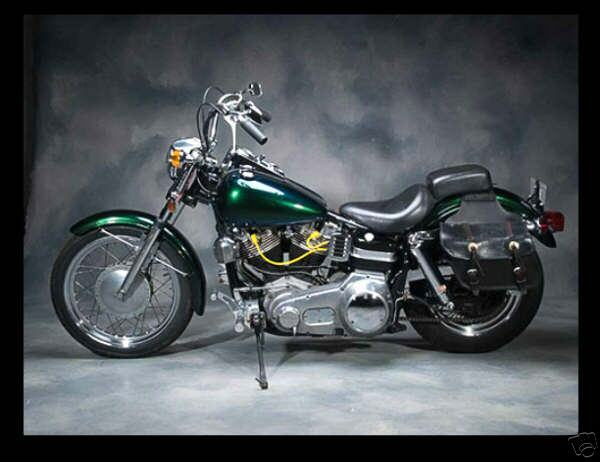 1972 Harley Davidson Superglide Engine redone by certified HD mechanic, balanced and blueprinted. S & S heads, electronic ignition, Mikuni carb, K & N filter.